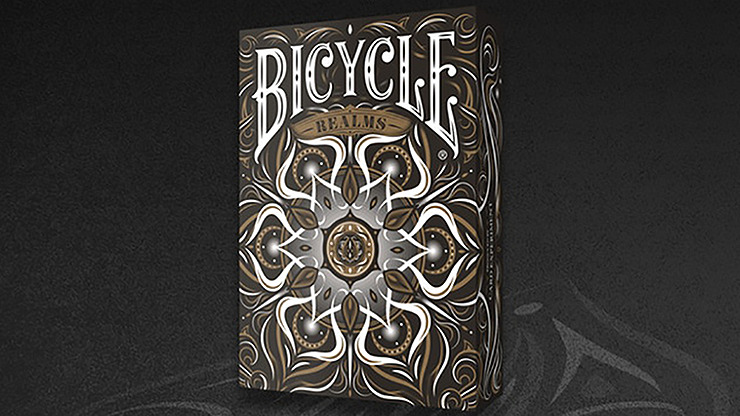 The Realms Playing Cards portray a visual allegory of Samsara, the beginning-less cycle of rebirth, in a beautiful and elegant deck of cards. 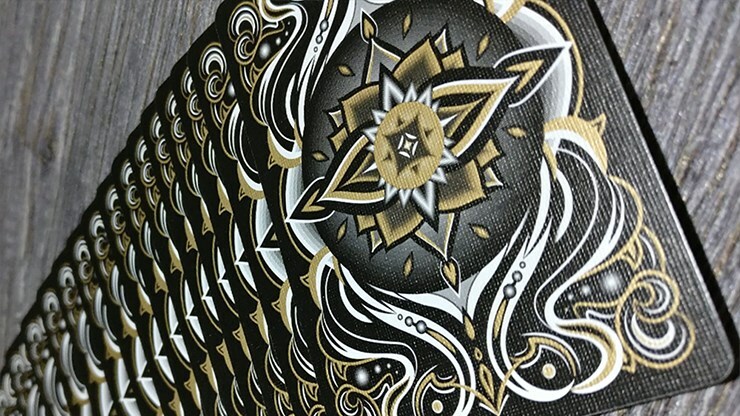 through a clean and classic stylistic form that exudes a distinctive Oriental perspective. 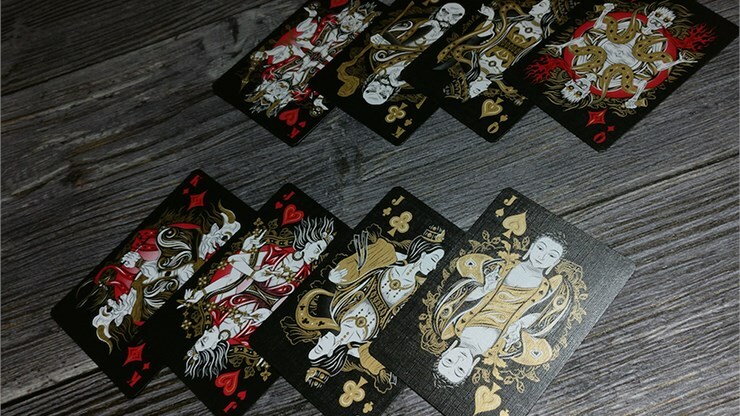 Printed by USPCC on Bee paper stock, this custom deck features gold metallic ink on the cards and custom court cards, Jokers and Aces that embody classic Oriental design. 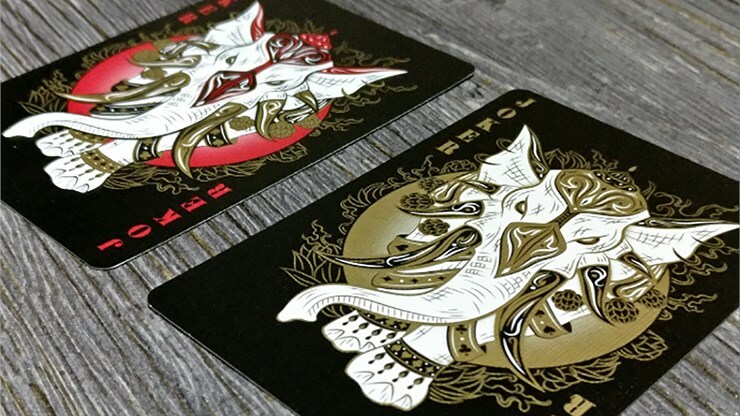 The embossed tuck case is accented with gold and silver foil and a standard red seal. But you must act now! 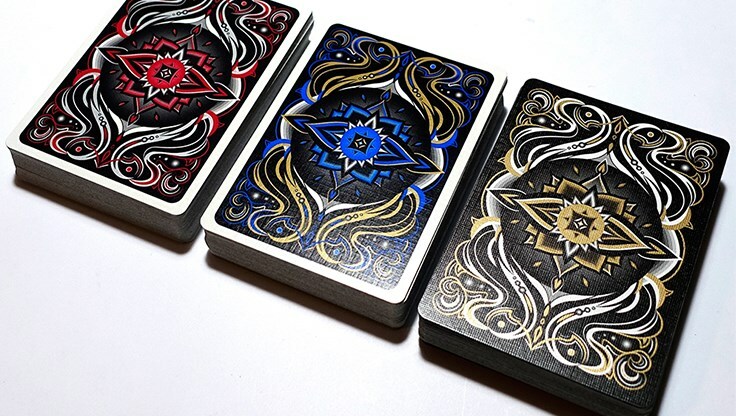 These decks will not be reprinted, so get yours before they're gone forever!